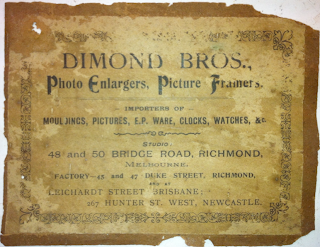 Picture Frame Labels: Dimond Bros. 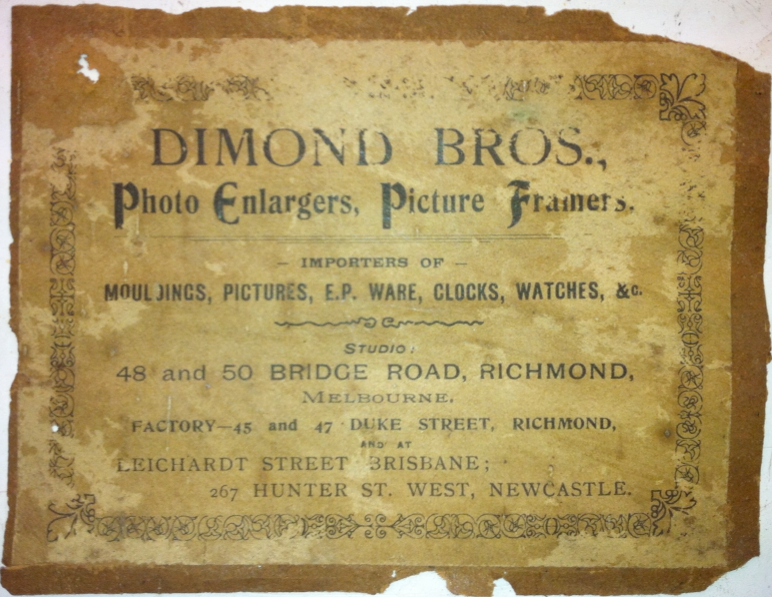 Courtesy of Art Conservation Framers in Australia. Alfred Stiles & Sons, Ltd. The "Novelty Shop" Jule Hoff. Harper Wall Paper and Paint Co.